Did you know that the very first hats that were worn by any humans were in the form of skull hats, that were made of straw! Yes, that was in paintings and just as something to cover the head. Later, it was during the times of the French revolution that soldiers wore hats as a symbol of freedom and at that time, it was called the Liberty Caps. Today, hats are a fashion statement. There are tons of colours, designs and patterns available – and these will help you to uplift your simple dress to another level of fashion. Now, if you do not like the available patterns in the market for hats, who said you do not have an option? 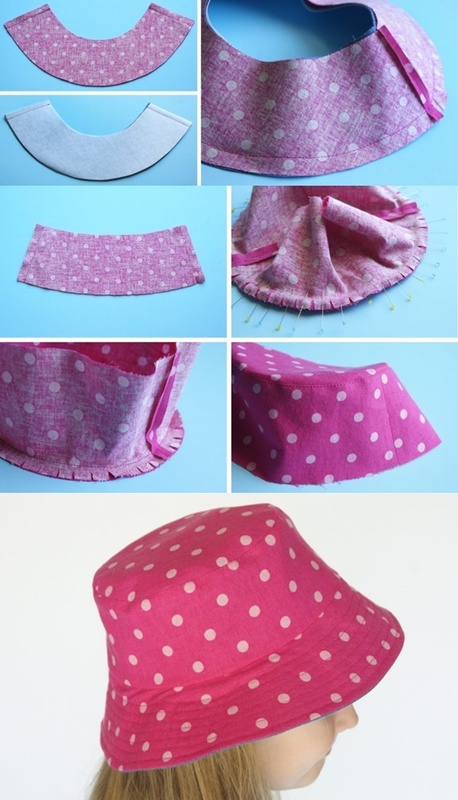 Why not consider making one yourself like these super Easy Hats which you can sew at Home? This will also help you to get the perfect fit of the hat. If you want sewing tips to begin with, here you go! Take a measuring tape and measure your head. Now, cut the cloth with that measurement in breadth and about 12 – 17 inches in length. Fold this rectangle piece, and cut it from the corners, such that it shall look like a dome. You will have at least 4 such pieces. Place them on top of each other and cut small triangles on the top. Separate them, fold them by the triangle, and sew them on the top. Now, place two pieces together with shapes matching and sew the ends, leaving the bottom. Cut the extra fabrics. Take a measuring tape and measure your head. The width shall be the stretching side of the fleece material and cut that with your head size and the length can be about 12-17 inches. Fold it into the half. Make a mark on the cutting edges, at about 2 inches down. Sew the edges, till the mark made. Now, extend that 2 inches mark into a straight line, and cut it into stripes – cutting from top to that 2 inches into lines. Now, sew the bottoms of the hat. To the top, gather the cuts as close as you can, take an extra piece of the same cloth and tie a knot right below the extra strips that you cut. To make these, just cut the linen cloth into a round shape to get a round hat. Cut a piece for the crown, and then sew it to the brim pieces. Ensure you match the seams and sew the crown and brim together. You can leave about 1-2 inches of a seam as an allowance. Now, sew the top of the hat by adding a cotton cloth and sewing it with the rest of the hat. At the brim add some pattern and your sun hat is ready. Take the fabric and the fleece together, and sew the corners together. Continue this with the sidelining and the top too. Now, take faux or wool for the ears. Attach them to the sides of your already sewed hat. Sew these by the brim of your hat. 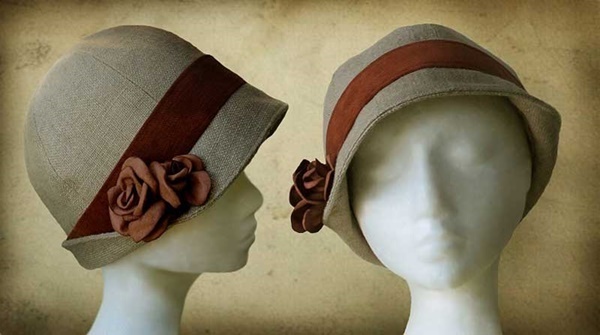 Take the fabric and cut as per your head measurement – it will have extra brims as it will be a hat shape. Now, take two pieces and sew them together. Leave a little seam allowance. Gather the top of the sewn fabric and assemble them in a pattern, sew them together. Align the brims to the seam and stitch. Fold and press the bottom edges and pin them. 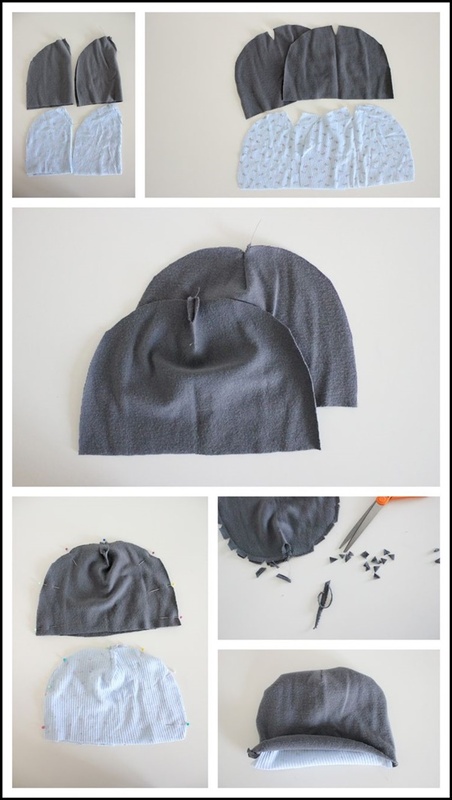 Make sewing patterns on the bottom of the hat. 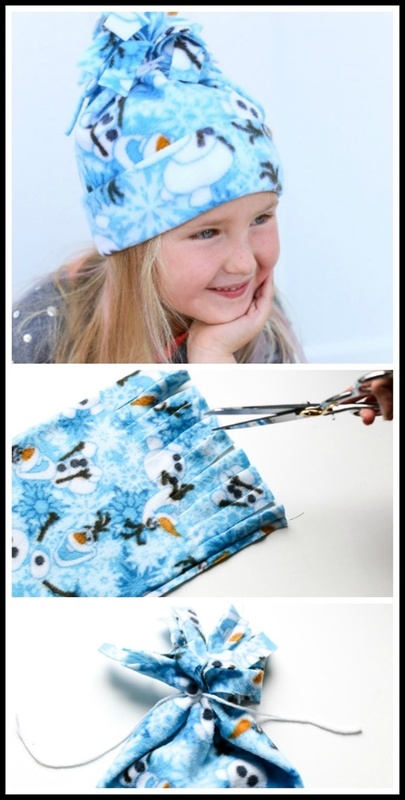 Take an old cap or hat, choose a nice pattern and print it on a cloth. Now, sew this on your hat from the top. You can use pins to keep the cloth in place. Sew it from all corners and keep doing it till you complete the circle. Do this on three sides of the brim, leaving the front side open so that when you wear, the ear flops fall on both the sides and at the back. Here we present some DIY Wine Bottle Painting Ideas for Home Décor. Cut the fabric into dome shapes. Have at least 4 of them, and dew the top ends together. You will have a strap at the bottom extra, for the head look. Sew all the edges. At the top, take the triangle shapes, cut them into stripes, gather them together and tie the knot or sew them. Cut the fabric in a boat shape. Take two such shapes and sew them together. It will make the bottom. Now, cut the fabric for the top – and it shall be of the measure slightly lesser than the bottom so that it fits perfectly. Pin them to keep it in place while you sew it. You can sew some lining into the interiors of your hat. Now, to add the cap effect, to the bottom of your hat, at the back vent of your lining, overlap the two open edges and at the front of the hat, insert the brim for your cap. Pin them, and sew them together. Make two circles of your fabric with the measurement of your head. Sew these together – by sewing only the edges. Cut the edges into small stripes and attach one more beret from the insides and leave about one inch unsewn. Now, from that, pull the fabric out. Push one layer from the inside of the other, so that it looks like a bowl. Now, to that one inch unsewn, push it out and complete your stitching. So, what are you waiting for? 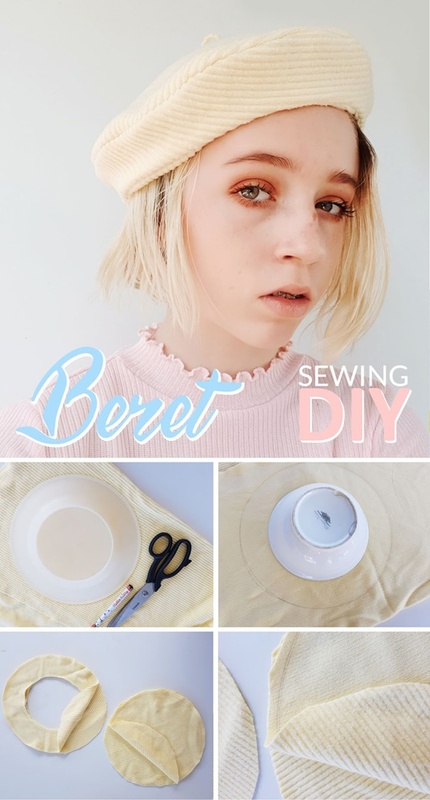 Get going and try one of these Easy Hats which you can sew at Home today. Be it to beat the summer heats or protect your head from the cold, hats are always a good option.